A rich blend of whole spices, Vasant Rajwadi Garam Masala is 100% pure in both colour and flavour. Add a dash of it in your curries, samosas, patra, bhakharwadi, usal, kathol, undhiyu, etc. and enrich their taste. 1. As per your taste, use ghee or oil to make your dal or vegetables. 2. 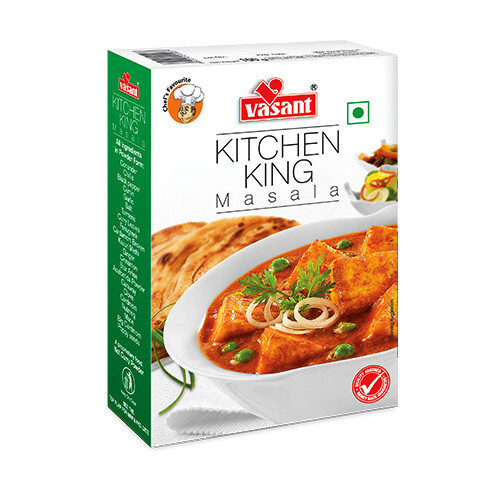 For 500 g vegetables or 1 litre dal, add 1.5 spoons of Vasant Rajwadi Garam Masala. Stir your dish and let it cook for 2-3 min on low flame. 3. 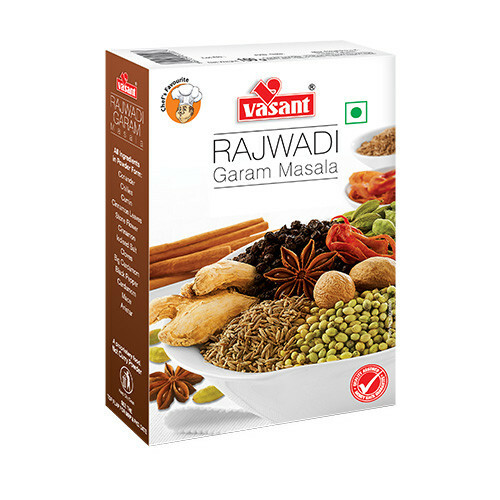 Vasant Rajwadi Garam Masala gives excellent taste to snacks like samosas, patties and vadas. 4. To make Undhiya, add Rajwadi Garam Masala to boiled vegetables with other spices when you are sauteing them. Also add Rajwadi Garam Masala to methi aata of muthia with other spices. This will enhance the taste of Undhiya.